Along with custom home designs, JB Architecture Group also specializes in architectural and construction services for renovations, condominiums, townhomes and land planning. We believe that architecture creates a memory of experiences. The integrity of a place acknowledges and respects it's purpose and context. Memories are richer when emotional connections are made. Lifestyle Design is a full service interior design firm. Our objective is to help clients identify their design needs, and then to create a beautiful living space that expresses their personal style. Create. Update. Renovate. Designing environments that evoke emotion and fulfill purpose. Desa Design is a well balanced firm, founded by two interior designers that have a passion for both successful designs and strong business integrity. Typical clientele, extends along the I-88 corridor from Chicago to Downers Grove, to Aurora/Naperville areas. Projects include high-end residential, boutique commercial, and hospitality design. We offer full service design with 3D renderings, design concept development, client interactive proposals of furnishings, fixtures, and finishes, detailed construction documentation, support throughout the construction phase, and final placement and installation of accessories and finishing details. We will never have any two designs that are alike. Let’s face it, everyone is unique. Whether your Kitchen needs updating or you are building a new home from scratch. We know that not all clients are able to verbalize what they like or want. Therefore we go through various steps with you throughout our process to ensure you love the final design! 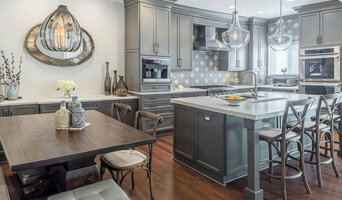 Joseph Kiselyk is a principal designer at The Kitchen Master in Naperville, IL; specializing in Kitchen and Bathroom design/project management throughout the suburbs of Chicago. 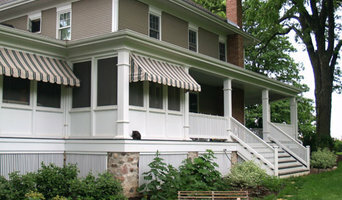 8x Best of Houzz! Redstart Construction, Inc. is an award winning, full service home remodeling contractor specializing in room additions, kitchens, bathrooms, basements and custom homes. Our goal is to create lasting relationships with our clients by providing the highest quality service in the industry while also giving you the greatest value within your budget. We will assist you through each step of the process, including design, product, material and color selections. It is our job to make the construction process as seamless as possible so that you can begin enjoying the living space of your dreams. We take pride in every project and relationship we build. We believe those relationships are earned through honesty, hard work and exceptional quality. Design & Sales We proudly offer: Wellborn Cabinetry, RD Henry, Woodharbor & Harlan Cabinets. Schaub & Company Hardware, Lg Viatera, Cambria, Kohler & more. In addition to our quality American made cabinetry we also bring over twenty years of industry experience in design & remodeling. Our services are a la-carte, meaning we can help you with a simple design plan or assist with an entire remodel from concept to completion. At Heart of the Home the client comes first. 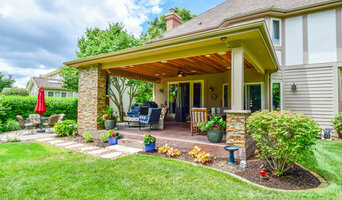 We understand how challenging remodeling/building can be for the homeowner. With our years of experience we can assure you that your project will be handled with the utmost professionalism. Exceeding your expectations is our top priority! VARA Design is an award-winning full service interior design firm servicing the Chicagoland area. Our designs consist of both residential and commercial interiors. We offer full service design with 3D renderings, construction documentation, fabrication, procurement, purchasing, and art curation. Our designers come from diverse backgrounds including architecture, new construction, retail, fashion, culinary arts, and the wine industry. This multi-faceted foresight sets us apart in the design industry due to our understanding of functionality and real life application.